When you are a child and you flee your country because of war, famine or harrassment, you grow-up faster than other peers. You're not just missing your home or family or friends, but your childhood. Despite the hard journey they went through, refugee children still dream as their peers and like the same things other children do. And as every kid on the planet, they love videogames too. 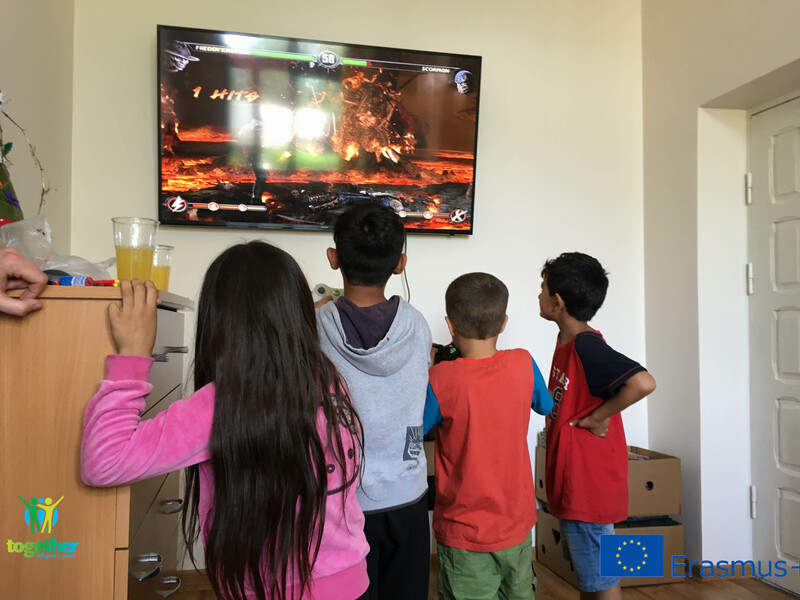 That's why a simple thing like organizing an X-Box game session in Rukla Reception Centre, had a great success. Children were so happy to play videogames and to be part of a virtual world where guns don't really hurt anyone and bombs don't destroy anything.